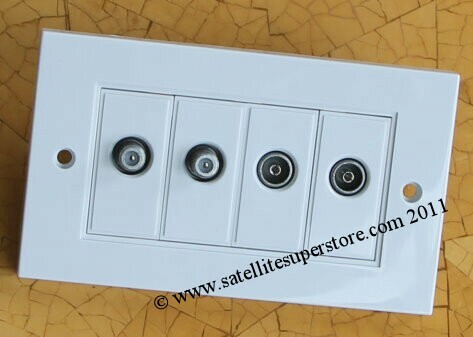 Satellite outlet plates, satellite wall plates, multiswitch triplexing and quad outlet plates. 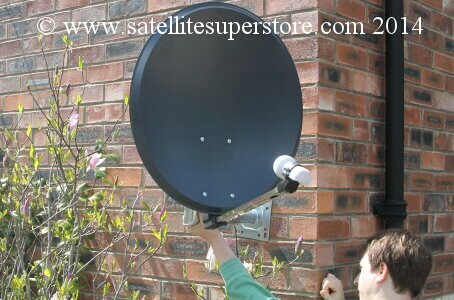 Satellite Superstore UK. Big Discounts. 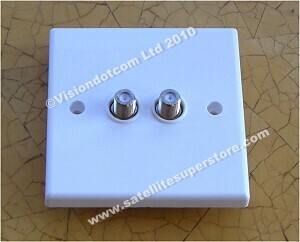 Multiswitches at the Satellite Superstore UK. 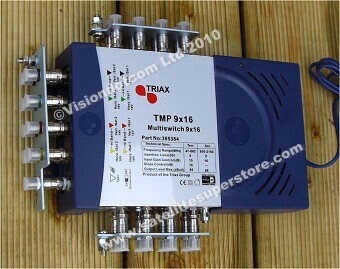 8-way, 12-way 16-way 24-way 32-way Triax multiswitches. 5 input multiswitches, 9 input multiswitches, 17 input multiswitches, amps, splitters, taps. 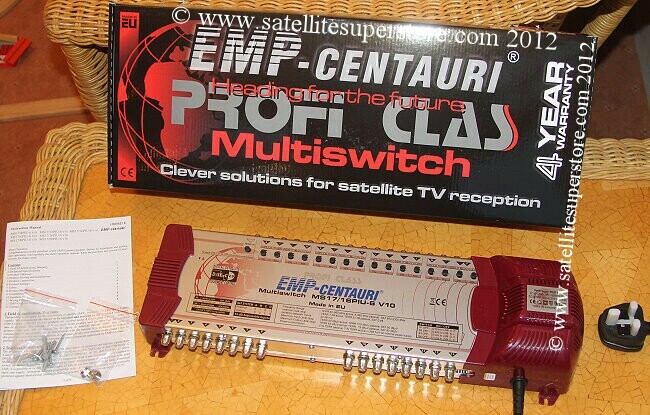 5X8 multiswitch, 5X12 multiswitch, 9X8 multiswitch, 9X12 multiswitch, 17X16 multiswitch, 17X12 multiswitch. Dishes with quatro LNBs. Diplexing outlet plates. Triplexing outlet plates. 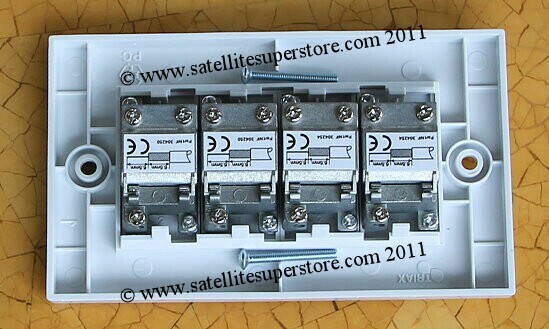 4 single output F connector outlet plates. Quantity price. 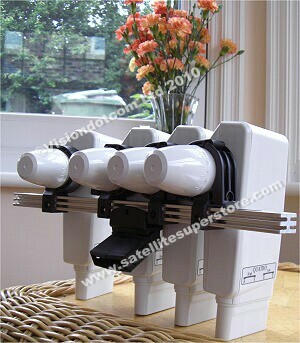 4 DOUBLE output F connector outlet plates. Quantity price. 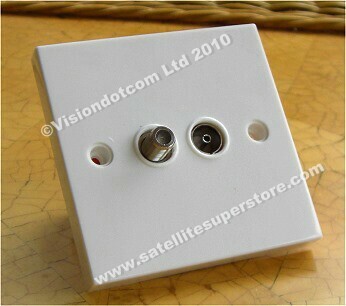 4 low cost twin output F connector outlet plates. Quantity price. 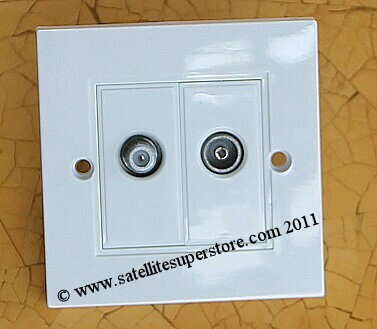 4 F and UHF outlet plate. Quantity price. 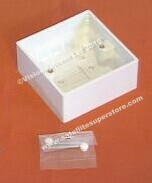 Please note that these modular units are all also available in black but only as a special order on the phone. 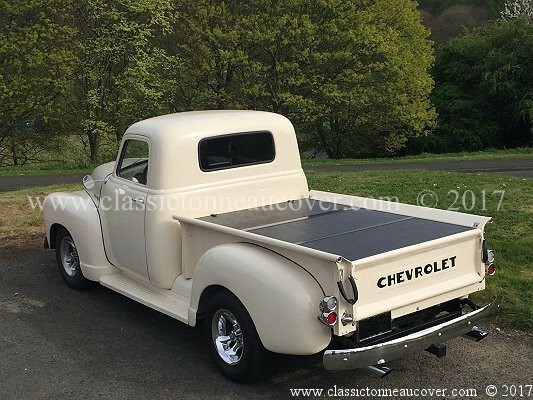 Or, you can order online in white and then ring us straight away to say you want them in black. See above for back boxes if required. All items are below are white. 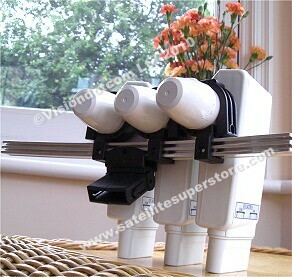 Build the outlet plate for your exact needs. Single wall plate surround. 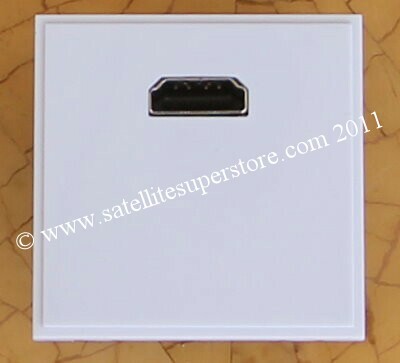 Triax part number 304201 "1G grid"
Plug your HDMI lead into the back and the module provides a very neat socket. 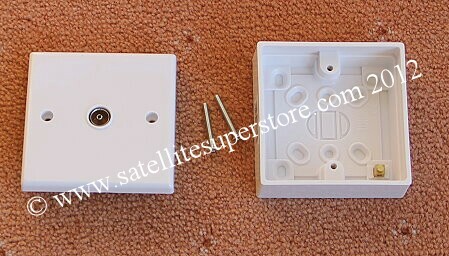 Satellite TV and terrestrial triplexing outlet plate. 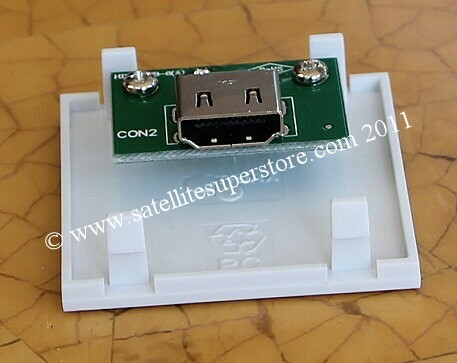 There is also a connector for FM or DAB radio also carried on the same cable. See above for back boxes. 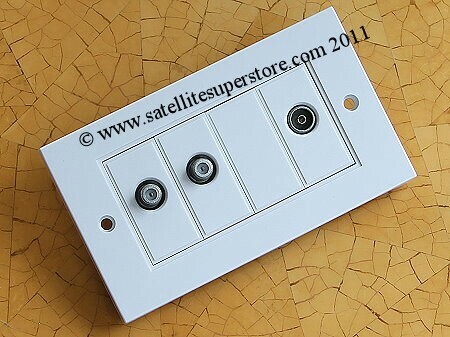 Satellite TV and radio triplexing outlet plate. tuner receiver. See above for back boxes. 4 double back boxes. Quantity price. The "Triax" plate is on the left and the lower cost "Superswitch" version is on the right. There is also a connector for FM or DAB radio also carried on the same cable. 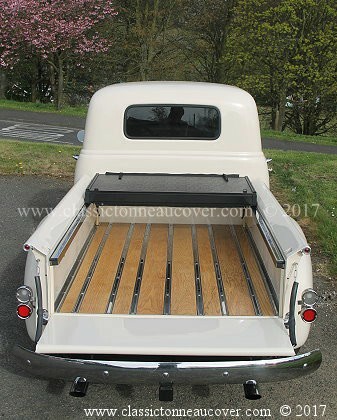 See below for back boxes. 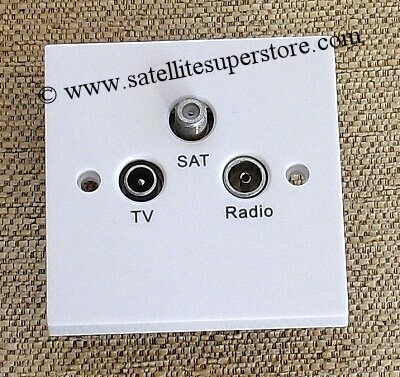 Satellite TV and radio triplexing outlet plate. Scroll down to see both versions and quantity pricing. 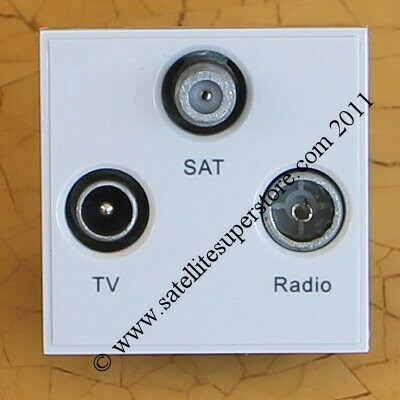 Triax TV, radio and satellite triplexed screened outlet plate. 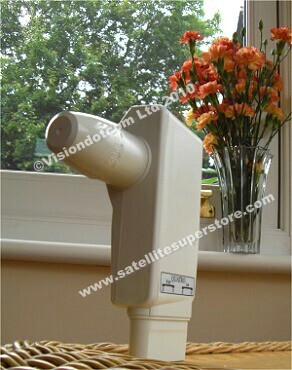 2 Triax TV, radio and satellite triplexed screened outlet plate. 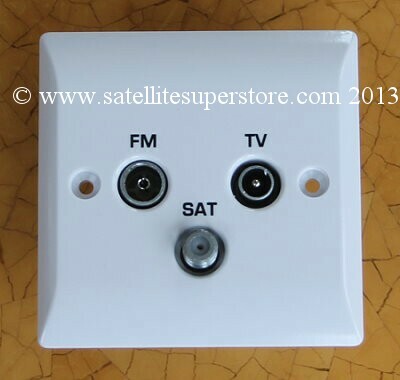 4 Triax TV, radio and satellite triplexed screened outlet plate. 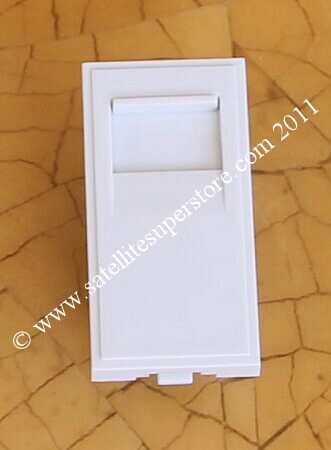 Superswitch TV, radio and satellite triplexed screened outlet plate. 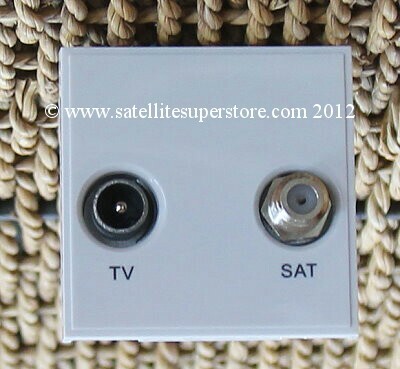 2 Superswitch TV, radio and satellite triplexed screened outlet plate. tuner receiver. See below for back boxes. 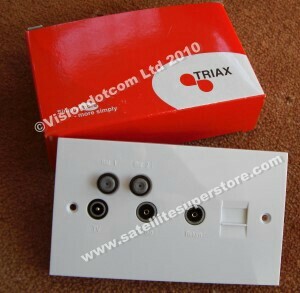 Triax TV, radio and twin satellite quad screened outlet plate. 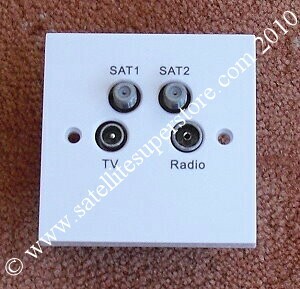 2 Triax TV, radio and twin satellite quad screened outlet plates. 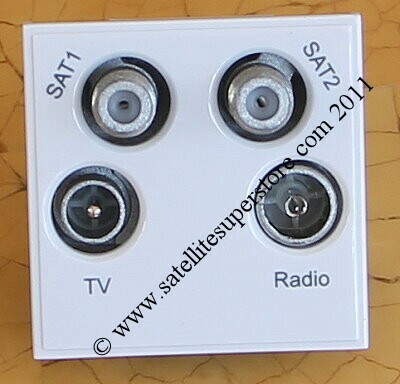 4 Triax TV, radio and twin satellite quad screened outlet plates. 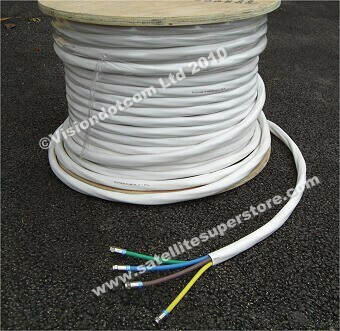 signal to the room using a third cable. A telephone point is also included. 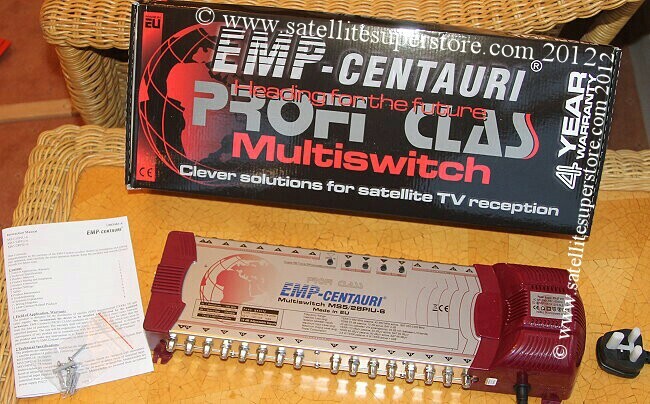 4 Triax TV, radio, return, phone and twin satellite outlet double plates.